We have been working with Protos for many years and their customer service is excellent. With over 30 years of expertise in film conversion, we have unrivalled product, market, and technical knowledge that guarantees you the best packaging advice available. So why not take full advantage of our team for technical support and advice? Whether you are a long-standing business looking to improve your current packaging or a start-up looking to launch a new product, we are on hand to help you. First Things First – What type of flexible film substrate should we use to manufacture your packaging product? This depends on the demands of your particular product and packaging process. For instance, what are you shelf life requirements; does your pack need to be ovenable; how is your product to be transported; what are the environmental considerations? Pack Specification – We will help you determine the best type of pack specification for your particular end use. This might include whether it needs a seal/reseal tape, or whether multi-perforations or punch holes are required, etc. Packaging Equipment – This is likely to include issues typically associated with your packaging equipment, whether you are packing automatically (VFFS or HFFS), semi-automatically with L Sealers, or using different types of hand sealers. 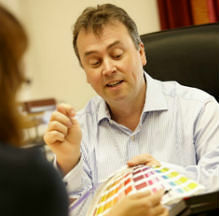 Problem Solving – We pass on best practice that we have experienced with other customers. If you have a particular problem with your packaging process it has often been experienced by others, so allow us to share solutions that may improve your packing line and make life a little easier.